In Spain there is a limited production of mobile games compared to other matured markets, however due to low-cost production of mobile game development in the Spanish market has increased. Amongst all downloads from the Apple store, we can see that mobile games have had the most significant success. We have come across mobile games that have wooed users with smartphones and other mobile devices in recent time. In the App Store we find that free games like Candy Crush Saga are those who break records, surpassing more than 500 million downloads worldwide. These applications understand how to exploit their potential, as Angry Birds did at one point. Moving on, another game that has proven to show dominance is Pou, this is a more traditional style of the virtual “Tamagotchi” and has become one of the most popular mobile games today. In the App Store you will find this is a paid for App whereas it is available for free in the Play Store. This is an intelligent strategy to use as past reports have shown users prefer to pay for more content on the App Store compared to the Play Store. 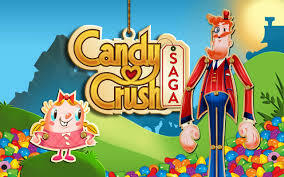 The successor of the games; Candies, Candy Crush Saga, and Farm Heroes Saga looks forward with their game Candy Crush Soda Saga, which provides new challenge on mobile devices. Trends in mobile game development indicate that the operating systems get more downloads and sales from mobile games than any other application model. Mobile game development has focused on these two operating systems, but is increasingly harder for HTML5 development and Unity3D. Choosing strategies that promote the engagement such as rankings, trophies or rewards, games like Candy Crush have shown initiative and took advantage of their power to engage. Simple games like Pou requires high level of interaction and need continuous attention from the user, which has made them popular by demand. Mobile games that appeal to the intellect are also performing well in the market. Games such as cut the rope would be an excellent example; here players look to outsmart their opponents and transcend.